During this half-day workshop you will learn exciting water casting techniques to create natural shapes from silver and turn them into beautiful organic pieces of jewellery to keep forever. Your friendly tutors will be on hand to guide you step by step through each process. During the first half of the workshop you will be learning about casting the silver by pouring the molten metal into cold water. The silver then solidifies and forms many wonderful and irregular shapes. The second half of the workshop will involve using your imagination and turning your newly cast shapes into jewellery. 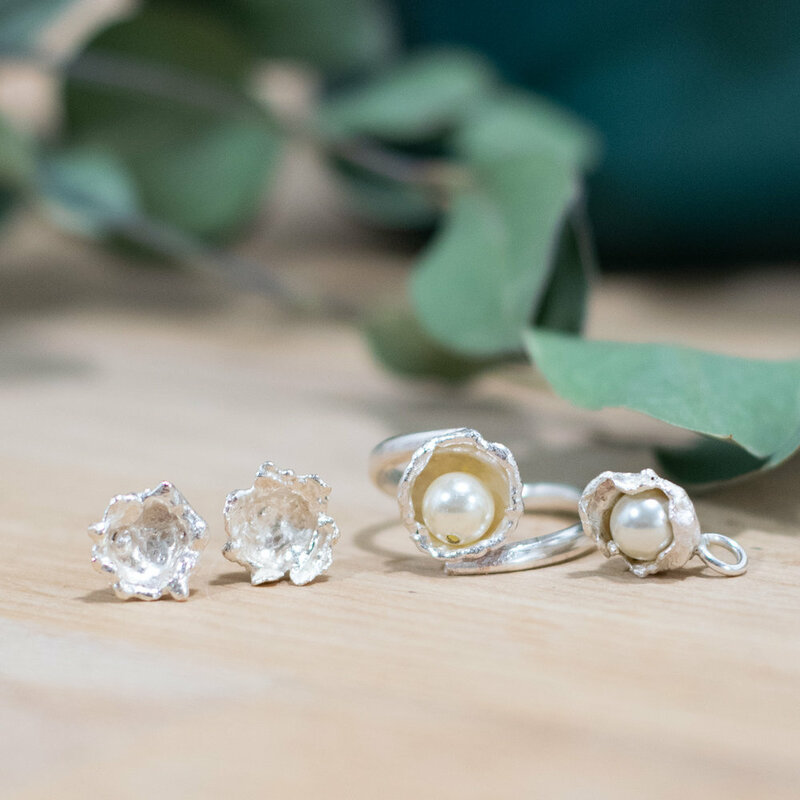 There will be enough silver for you to create 2-3 pieces and you will also have the option to add colourful gemstone beads or swarovski pearls to your creations if you want to. No previous experience is required for the water casting workshop although if you do have some silversmithing knowledge your final choice of jewellery can be more advanced. The silver we will be working with will be a mix of solid silver and fine silver. This workshop typically lasts around 4 hours in total and no jewellery experience or knowledge is required. This is a very hands-on class. If you normally wear glasses for reading, we recommend you bring these. Please wear old clothes and closed-toed shoes. Long hair must also be tied back. We currently have no strict age limit on classes but please email us before booking a space for anyone under the age of 16 just to confirm this with us. Anyone under the age of 16 must attend with a participating adult.